Recently on the blog we have explored some options involving nibs, ink, and even nib holders. That covers much of the basic supplies that calligraphers use, however, that still leaves paper with which to practice on. 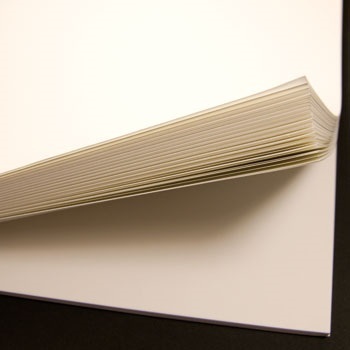 In this post, we will look at some good practice pads of paper for calligraphy. These are going to be more on the inexpensive side, so that you can try to get in the most hours of practice for your buck. JNB Practice Pad– Our own pads of practice paper have been recently updated and now take on more inks well. This is a smooth paper available in 8×11 or 11×17 sizes, as well as, multiple sheet counts. Our practice pad is quite smooth to prevent catching and is usable with guidelines. P32 Canson Pro-Layout Marker Pad– One of our most popular pads, the Pro-Layout pad, is also one of the best performers. Very smooth paper that works well for both pointed pen and broad-edged calligraphy. This Canson pad won’t bleed or feather with most inks and is transparent enough to be used with guidelines. P09-100 Boris Layout Pad– The Boris Layout Pad is used often in beginner classes as it is responsive and not too expensive to work with. The Boris pad is our most popular pad and is known for taking inks well and not bleeding or feathering. P01 JNB Copperplate/Engrossers Pad– Our own pad for pointed pen calligraphy use. 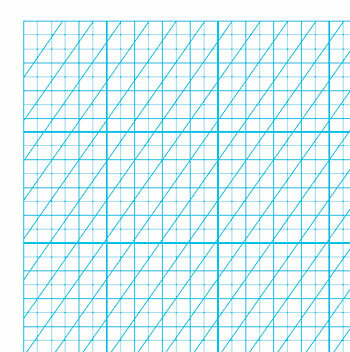 This is a grid paper which features blue grid and slanted lines. Like our JNB Practice Pad, the Copperplate Pad has been updated to take inks better with less bleeding or feathering. We’ve tested with Higgins Eternal, Noodler’s ink, Richtone, and McCaffery’s. 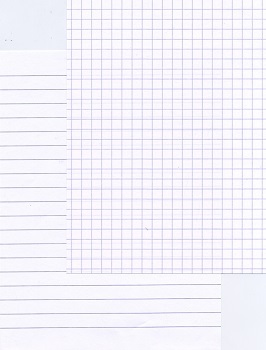 P74 Rhodia Pad– This acid free and pH neutral paper, features purple lines and graphs. It is a great option for pointed pen practice, as it is both smooth and inexpensive. Also, available in the dot-grid. p23 Westwind Graph Pad– A bit more pricey than some, however, this is an extremely popular and high quality pad of paper. It is available in 11×17 with a blue repo grid and comes with 50 sheets. Finding the right paper can go a long way towards preventing headaches when trying to get some practice in. A bad sheet of paper can bleed with your favorite ink and make everything you write look sloppy. Practice paper doesn’t have to be an expensive proposition. In fact, as this list shows, there are plenty of great bets within any price range. Zig Metallic Calligraphy Markers (M109) Color Charts!